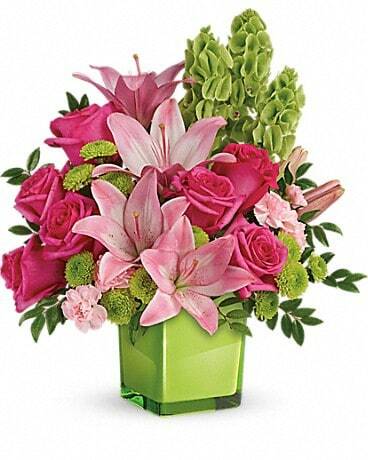 Teleflora's In Love With Lime Bouquet in Bismarck ND - Dutch Mill Florist, Inc.
Lime-a-licious! 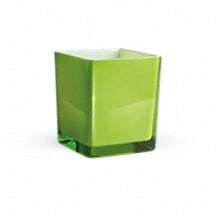 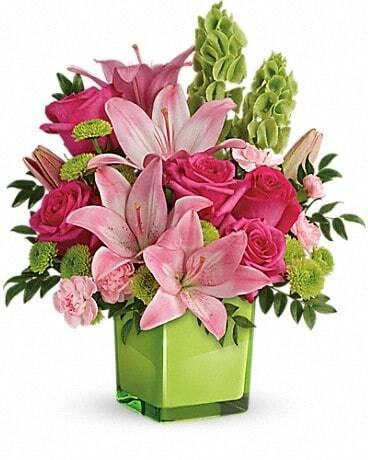 Fresh shades of green are a great way to contrast pink roses and lilies. 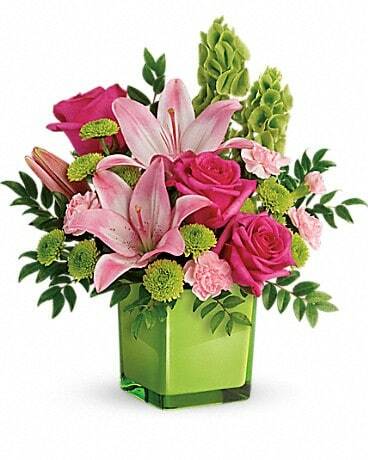 Hand-delivered in a lovely cube, it's a loving gift any day of the week!